It's a very good first attempt there are just a few small things I feel I should mention just to look busy. What exactly do you mean by 'explorer' in the Occupation? Is there a reason why she wanted to become a huntress? It's a dangerous position and it doesn't look like she is following in the footsteps of anyone. Having an apartment is fine but we would probably like some justification for where the funds came from, probably parents/adopted parents but can't hurt to be specific. But like I said a very good first attempt. I modified combat behaviour, adding the lightweight part along with a stamina weakness and an aura defense weakness. I also decide to add in a specified a range for her three-round burst Mozambique technique along with the fact that she uses her aura detection complemented by good environmental sense to be able to predict enemies and hit some very odd shots. I put explorer because she explores places and gathers data for scientists to use. I'd also like a passing reference to any other clothes she would wear, combat apparel or school uniform? Are they any different peacoat? Any sorted of added armour plating? What is her opinion on having to wear the uniform and does she modify it at all? 1. When you say it's passive, does this mean that it's on all the time? Or that it sporadically comes on/off and she has no control over it? If it's the first option, then I would like to see at least one drawback to having it activated all the time. 2. Is there a range limit to her semblance ability? Overall, I really like the concept of her semblance, but it would be nice for just a little bit more details in regards to it (such as the ones I've listed). As it stands right now, the potentials for how this semblance can be used are tremendous so a drawback on it would be good to help balance it out a bit. 1. By passive, I mean its on all the time, and it’s not something she can turn off. While I believe that in itself already comes with a few drawbacks, I added that her semblance reduces her aura regeneration rate by 30%. 2. There is no range limit on her semblance. Okay, so I discussed this with the other staff as having a passive semblance is something we don't see regularly come through here. The main issue we saw was the fact that people would forget what she looked like after 2 hours. The problem with that is that it basically makes it so that everyone on the board is going to have to start off by asking "who are you again?" since they won't remember her by her looks. That also proves problematic in regards to whoever ends up on your team as every morning they're going to wake up and possibly freak out thinking that there's a random stranger in their room before realizing its their teammates. And so, as enjoyable as it might be to have yourself play the role of that, this does make it much more difficult for everyone else on the board. 1. This allows it so that you will be able to interact with a majority of the other students around her without there being an issue. 2. This also allows her to have room for growth with her semblance as she gets older and more powerful with her semblance use (to which the time can decrease). 3. This still gives the potential for other students to forget what she looks like and ask who she is, if that was something you were wanting to have as an option. Overall, I really enjoy this semblance and would love to see it work around other people. It just needs to be nerfed a bit so that it can integrate and work well with the other people here on the board. Looks good! Approved 2 of 2. Personality: Amane is a very grounded person who never panics and likes to thinks things through. She's also highly perceptive, good at collecting information, and willing to delve into morally grey areas. Being an introvert, she doesn't talk a whole lot and tries to stay away from the center of attention, but can still make conversation with others. Despite being somewhat withdrawn though, she does have a slight humorous side, like getting a 0 on every true or false test she ever took. Combat Behavior: Amane is someone who fights with pure precision and efficiency. Highly skilled at controlling her rifle and aiming in a short time frame, she can land two to the chest and one to the head within a single three round burst from thirty meters away. Her movements are devoid of anything extra as she moves around with agility, her reactions are impressive, and she’s great at strategy and decision-making in the spur of the moment. Her environmental sense is also a major asset, which she uses on top of her aura detection to predict enemies and hit various “oddshots”. Primary Weapon: A powerful automatic rifle with a silencer, holographic smart scope, foldable stock, twenty-round magazine with armor-penetrating bullets with two spares, and a strap for easy carry. It is capable of medium-range sniping. 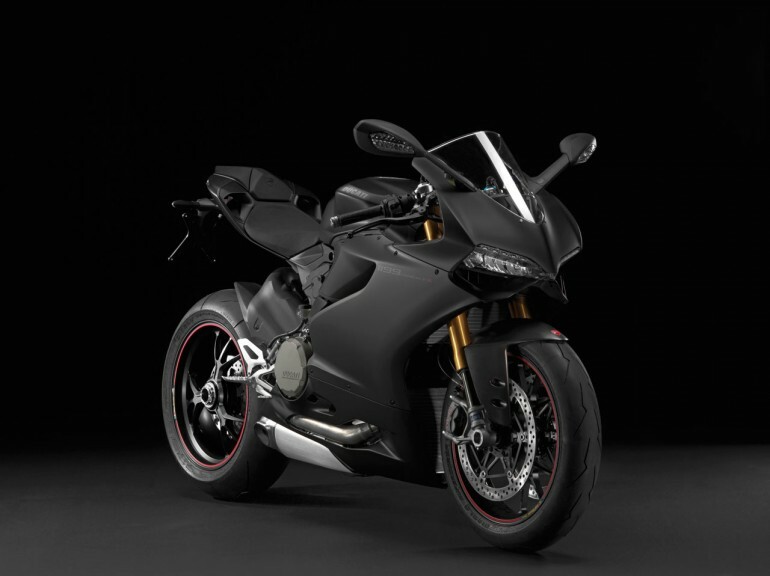 Vehicle: Amane likes to get around on a black Ducati Panigale motorcycle, but she occasionally borrows Iris’s cars from time to time. Residence: Amane also bought a spacious high level suite in Vale with money inherited from her parents, where she likes to get work done in or relax and spend time alone. Added more vehicles at the end. I just remembered that dailying a motorcycle is kind of dumb so I gave her a second car. I also listed Iris’s cars that Amane sometimes drives. You cut out the whole slows aura regen by 30%, did you mean to do that? Oops, forgot to commit that. Fixed it now. Semblance: People will forget what Amane looks like if they don’t see her for twelve hours. She also doesn’t appear on camera. While this ability is passive and cannot be controlled, those who knew her before her semblance was activated can remember what she looks like. People will forget what Amane looks like if they don’t see her for twelve hours. She also doesn’t appear on camera. While this ability is passive and cannot be controlled, those who knew her before her semblance was activated can remember what she looks like. One drawback of her semblance is that it slows down her aura regeneration by 30%. Prefiring - Amane is one who acts instead of reacts. Using the pings from her aura detection along with her environmental senses to deduce areas with a high chance of enemies, Amane keeps her gun pointed at where they are most likely to pop out, and can immediately fire at areas she thinks where enemies are, even if she hasn’t seen them. Because of Amane’s trigger discipline however, there is usually a fifty millisecond delay for her to confirm that it is in fact an enemy. Primary Weapon: A powerful automatic rifle that is capable of medium range sniping with a silencer, holographic smart scope, foldable stock, and a strap for easy carry. It has a twenty-round magazine Amane loads with armor-penetrating bullets (Each one costing the equivalent of 2$), and she also carries two spares. The rifle has two stickers on it, a broken upside down peace sign on the stock and a Blood for Mercy one by the magazine. Amane drives her black Ford Mustang Boss 429 when she doesn't feel like riding her motorcycle. Description: Fast, great for travelling in style, and not in overboard supercar range, Iris purchased this with her family’s money. Description: Iris bought this because it is a comfortable, durable car that doesn’t attract much attention. After Amane installed a BiTurbo performance package, it became a monster capable of going from zero to sixty mph in under three seconds without compromising comfort.